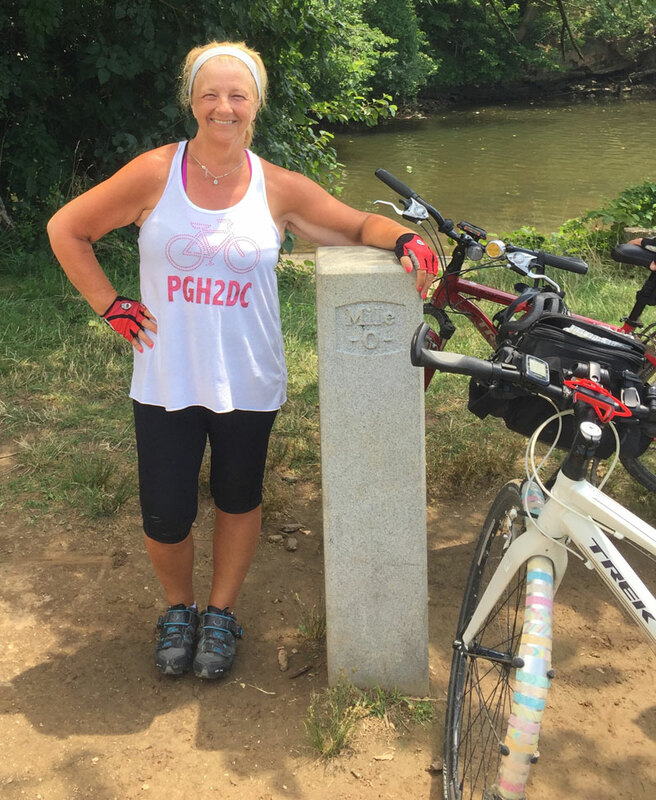 Pittsburgh to DC on a bicycle – Day 10 - We did it! We have 31 miles to pedal today. And it’s a beautiful, sunny, but very hot and humid day. A lot of people asked about the heat. We really didn’t mind the heat until we stopped for breaks. Because our skin is damp from sweating, and we’re mostly pedaling through wooded areas, the air feels cool on our hot skin. Plus I think because you’re so distracted by the sights, trying to stay upright on your bike, and counting down the miles to go, that you don’t really pay that much attention to the heat. Too much else to think about I guess! 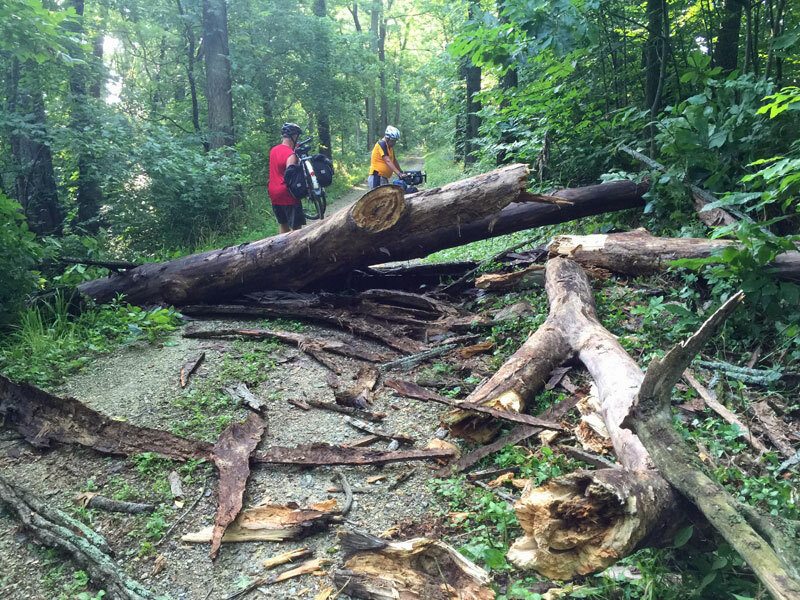 Speaking of distractions, there were a lot of fallen trees to maneuver around from yesterday’s storm! 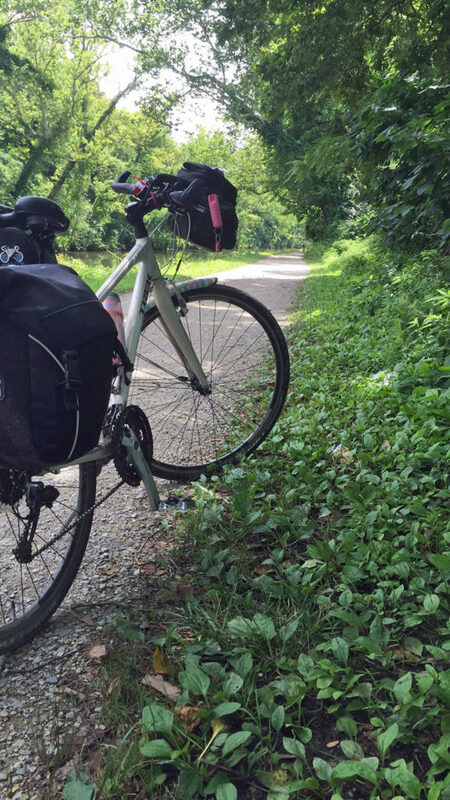 The closer we got to Georgetown, the smoother they trail got – thankfully! 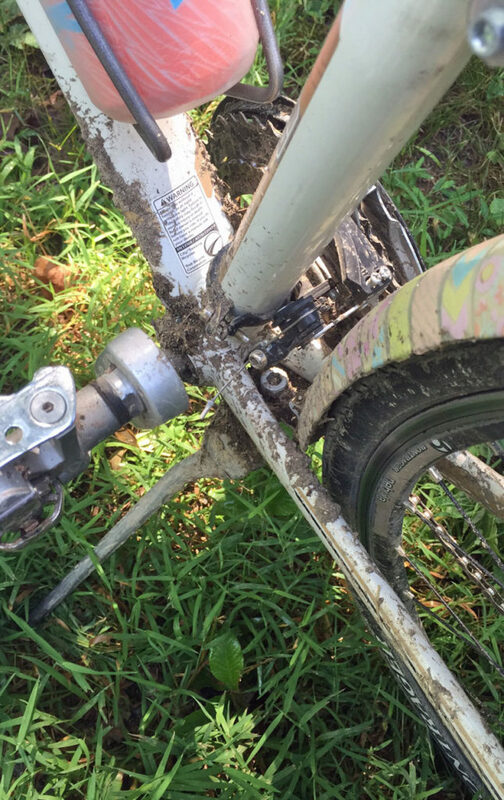 Our bikes were caked with mud which caused mine to be a bit squeaky – I couldn’t wait to hose the mud off! 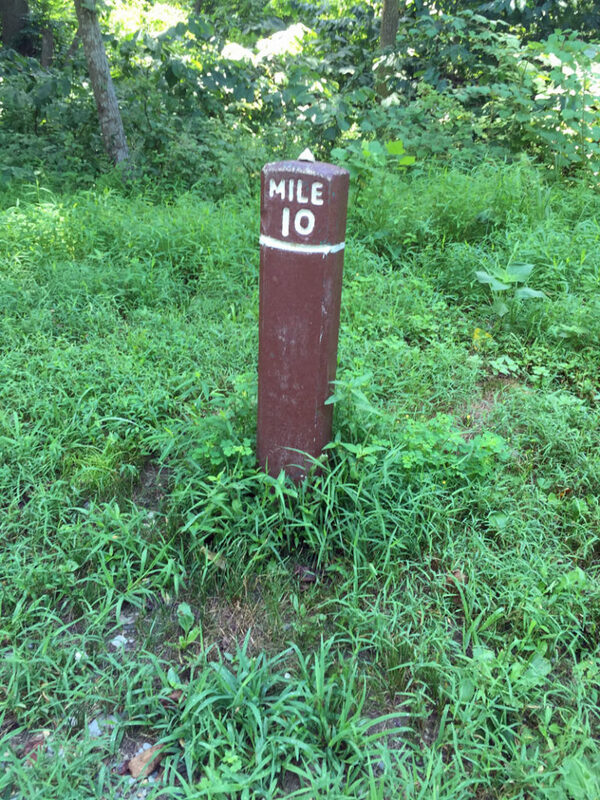 Mile marker 10 was a welcome sight. 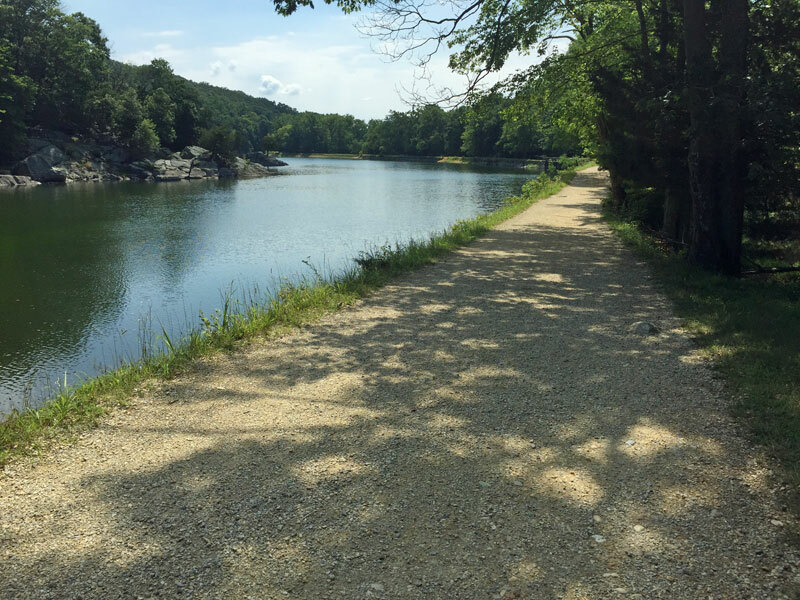 This pretty scene is from the Great Falls area in Maryland. 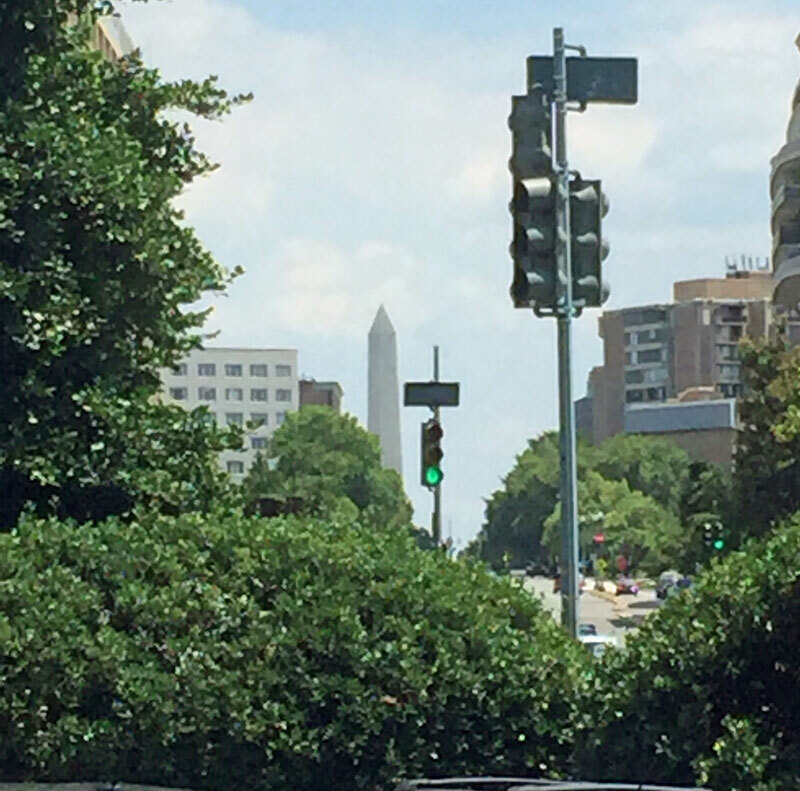 Maneuvering through Georgetown was more difficult than I expected. Watch the video to see for yourself! 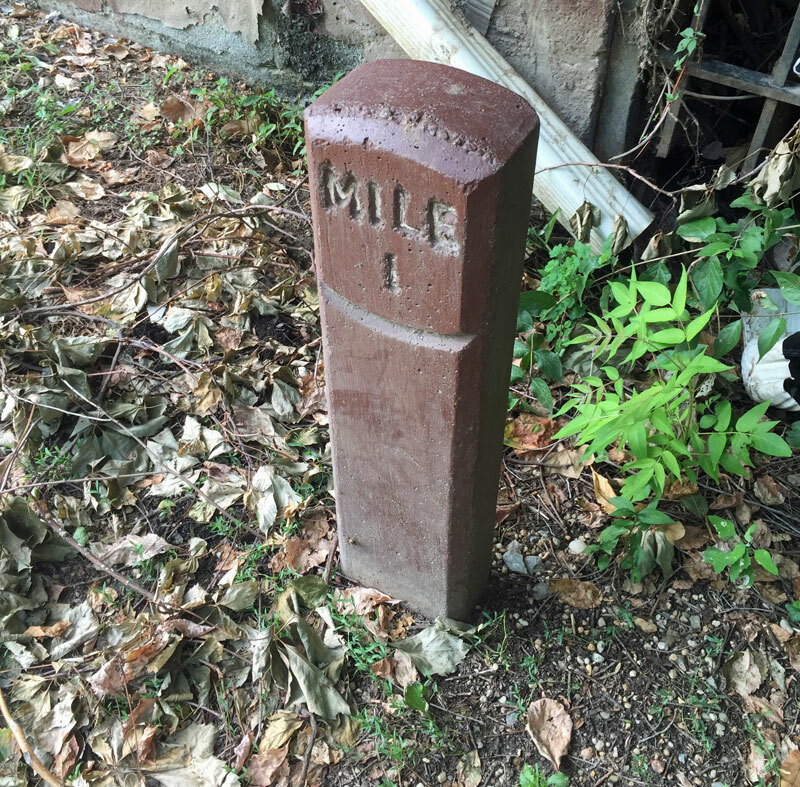 Finally we found our way to the zero mile marker! We did it! Dan, me, and my brother Jim. We started in Pittsburgh on a bright sunny day 10 days ago. 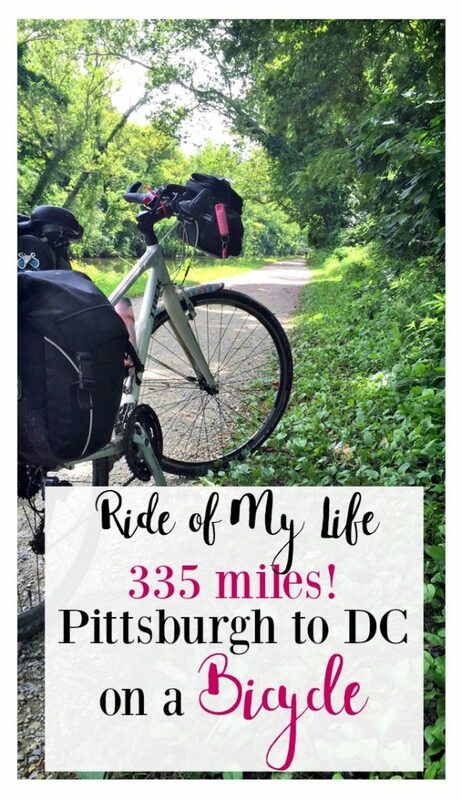 And we pedal 335 miles to our nation’s capital. It was the ride of my life! Thank you to Jim and Dan for putting up with me through all of those miles! We made wonderful memories and feel so honored and blessed to have been able to accomplish this ride. 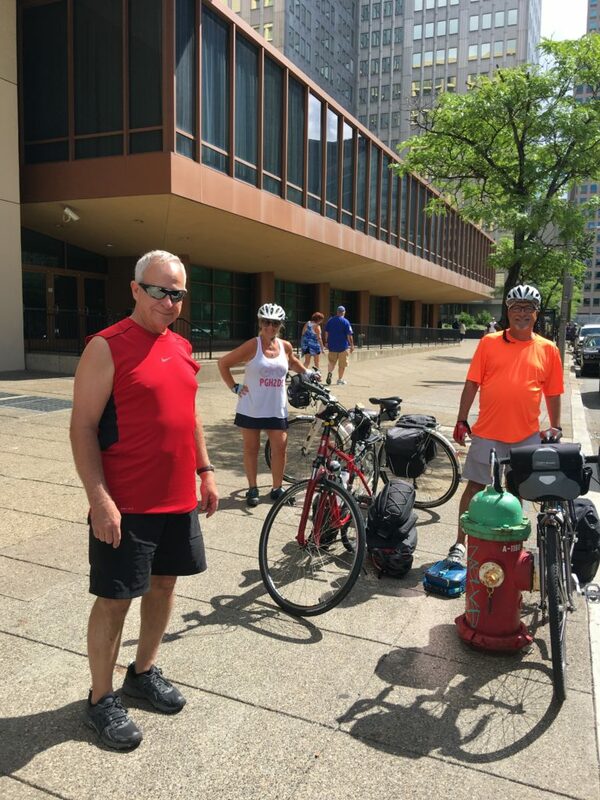 If you missed any of the days of our bicycle ride, you can catch up by clicking on the days: Day 1, Day 2,Day 3, Day 4, Day 5, Day 6, Day 7, Day 8, Day 9. Start on Day 1 if you’re new here and read about the trip from the beginning! Wow! This looks so awesome Jeannie! The sights look incredible. It’s making me want to travel again! Congrats on your awesome achievement!!! Thank you Danielle! It was the ride of a lifetime for sure! I loved reading about your adventure. I did this ride with my son and his Boy Scout troop in June of 2014. Reading about your ride brought back many fond memories. We camped along the way. Although, we had the pleasure of having lunch in many of the towns along the path. I was so proud of myself for completing the ride. Our longest day was 60+ miles. Our shortest was a little over 30. 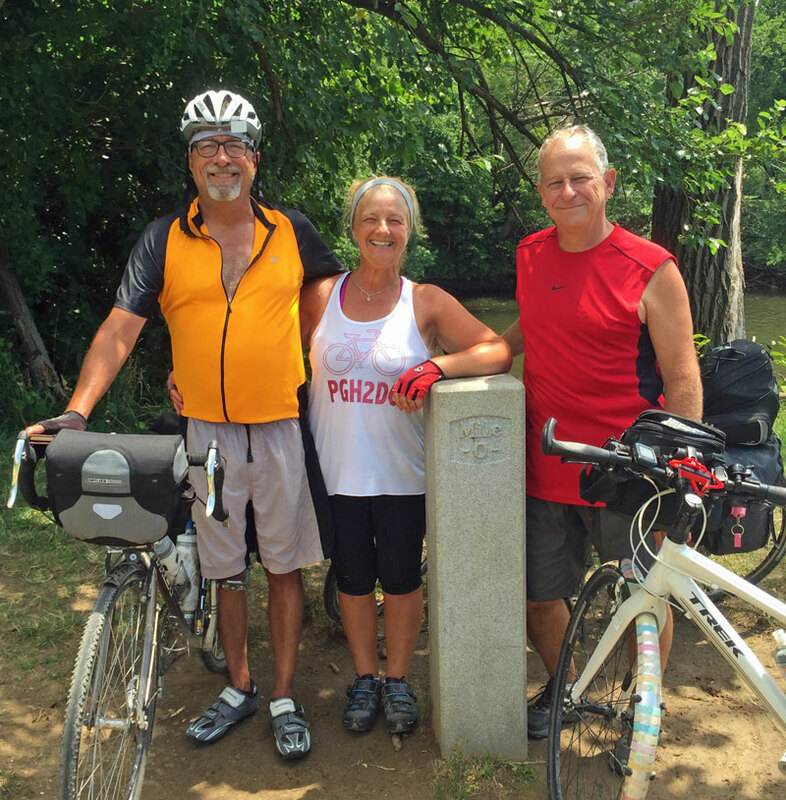 We only had 6 days to complete our ride, so we started outside of Pittsburgh, making our total mileage around 285. I completed the entire ride on my single speed 1968 beach cruiser bicycle.